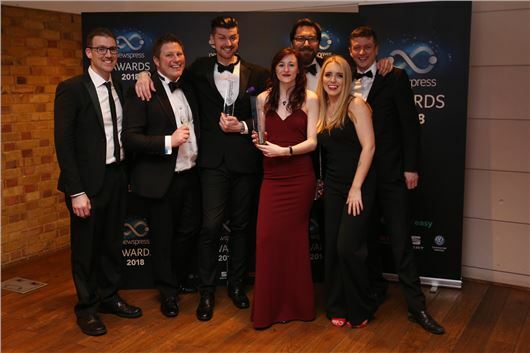 HonestJohn.co.uk has been crowned Best Automotive Website for the third successive year at the prestigious Newspress Awards. Praised for high quality news journalism, in-depth reviews and peerless automotive advice, HonestJohn.co.uk beat TopGear.com, WhatCar.com and AutoExpress.co.uk to take the title for a record-setting third time in a row. The panel of eight judges, which included former motoring editor of The Sun Ken Gibson and Ian Crowder of the AA, had their work cut out in 2018 with the exceptional standard of entries. However, a combination of industry experience and expertise culminated in HonestJohn.co.uk once again being crowned as the UK’s go-to site for drivers. As well as the best website award, HonestJohn.co.uk’s Editorial Assistant, Georgia Petrie, was awarded the coveted ‘Rising Star, Journalism’ award for her work on the website’s high profile consumer campaigns, while the site won further recognition from the judges for its popular and ‘highly entertaining’ videos, which were highly commended by the independent panel of judges. Exceptionally well done, Honest John and Co! Well done but why is John not in the photo ( with his hat on) ? well done to you all,and well deserved, but where is john?